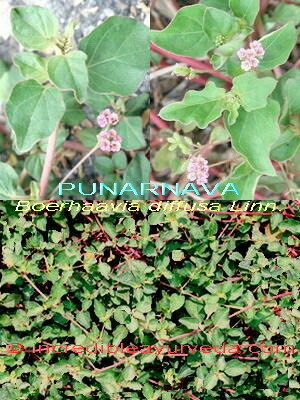 Medicinal Properties:Leaves, seeds and roots of Punarnava are used medicinally. 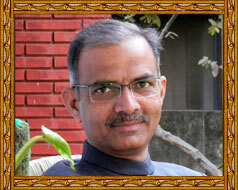 Punarnava is mainly used to treat The diseases caused by accumulation of fluids (Oedematous conditions) in the body. It is considered to be a Rasayana herb. It is also used in the treatment of anemia, toxicity, indigestion, cough, urinary tract diseases and liver disorders. It has been identified to act as a diuretic, anti inflammatory and hepatoprotective agent. Seeds have anabolic effect.